Slot Pages Casino is one of the best platforms for casino games available to the people of UK. 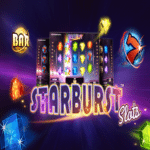 Featuring a wide array of amazing games such as slot and table games, the site promises wild fun and huge payouts. There are amazing bonuses offered to new and existing players and this greatly enhances your chances of winning. Sign up today and enjoy a cool 100% bonus for your first deposit up to £200. Impressive isn’t it? 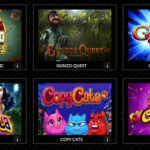 The games offered at Slot Pages Casino are powered by ProgressPlay and they have excellent built in graphics for smooth gameplay and transitions. Play the Best Online Slots UK and Spin to Win Big! The games offered at Slot Pages Casino are varied and they range from slots, table and arcade games. The games are fun and exciting and they pay handsomely when you form winning combinations. Some of the UK slots games offered include Thunderstruck, fortunes of Sparta and Racing Rhino. The table games include the different versions of roulette, baccarat and blackjack. For the real casino experience, Slot Pages Casino offers live games whereby you get to play against a live dealer just as you would in a real casino. 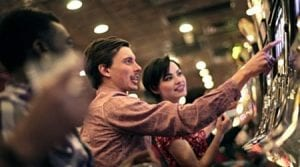 The games that you can play in live casino include table games such as live roulette, live blackjack and live baccarat. Play with your welcome offer now! 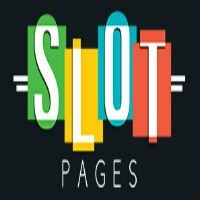 If want to experience the real casino experience from the comfort of your own home, then Slot Pages Casino is the place to be. Sign up today and experience online casino gaming like never before. The games have huge jackpots that are progressive in nature. The jackpot payout increases with every game and this just one of the impressive features of the games at Slot Pages Casino. The games can be played on normal desktop computers and laptops. For added convenience and comfort, Slot Pages Casino has made the games accessible on mobile devices. You can, therefore, play your favourite games from your Android and iOS smartphone. Slot Pages Casino offers a 100% bonus to new players for their initial deposit up to £200. You can use this bonus to play your favourite games and win big. There are other amazing promotions to existing players such as Cashback day, Monday Madness as well as Game of the day which is highly entertaining. Register at Slot Pages and enjoy all these amazing bonuses and promotions. You can deposit as much as you want and withdraw winnings from the platform easily. Any amount you deposit using either of these methods immediately reflects on your account allowing you to play your favourite games. 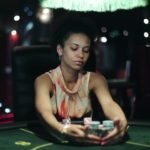 The site has been licensed by the UK Gambling commission making it one of the safest online gaming platforms. There is a dedicated customer support team to help you play the games better.